Service for the sole purpose of identification and traveling to other countries of the world. The International passport contains detail such as the name, nationality,date of birth,s*x, place of birth, date of issuance, date of expire, and the passport number of the passport holder. 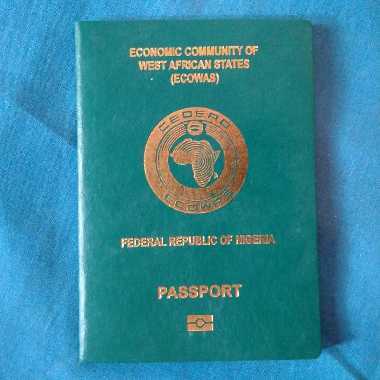 In this post we are going to take a look at home a Nigerian passport holder can renew his or her international passport and the passport renewal fees. There are several reasons why someone might decide to renew his/her Nigerian international passport,these include the change of name due to marriage,correction of errors,replacement of names,addition of names,deletion of names,damage,re-arrangement of names or simply an exhausted visa page. Listed below are some information about Nigerian visa renewal that you should know. Q: Types Of Nigerian International Passports? There are basically two types of International passport,this is the 32 Pages and 64 Pages Nigerian International Passport. The 32 pages passport contains 32 pages while the 64 pages passport contains 64 pages. The 64 pages is requested and used by Nigerian passsport holders that travel to other countries on a regular basis. Usually the Nigerian passport is normally issued to citizens of Nigeria and renewal of international passports can be done online or off line,also the Nigerian Immigration Service has started offering the e-passports which is an upgraded version of the former International passport. The new e-passport contains an embedded electronic microprocessor chip that contains the biometric information of the passport holder which can also be used to authenticate the identity of the passport holder. Q: How To Renew Your Nigerian International Passport? Depending on the reason and why your requesting for the renewal of your passport the following are applicable. (f) If the international passport is still valid for extra 6 months,the applicant should state the reason for application. Q: How Much Does It Cost To Renew An International Passport In Nigeria? To renew your Nigerian International passport you will be charged up to ₦ 20,000,excluding the ₦2000 Address Verification fee,however the total amount spent during the renewal process cost up to ₦ 30,000. Q: How Long Does It Take To Renew The Nigerian International Passport? For more information,enquiries or complaints about Nigerian International Passport renewal and application you can visit the Nigerian Immigration head office at Shehu Shagari Complex, Airport Road, Sauka, Abuja, FCT Nigeria or you can email nis.servicom@nigeriaimmigration.gov.ng or call 0708-0607-900,0811-9753-844.